Texas Braces for Storm During 14-Year Anniversary of Allison | The Voss Law Firm, P.C. As an already storm-battered Texas struggles with flooding and recovery, part of the state is bracing for a potential new tropical storm. A tropical disturbance has moved into the Gulf of Mexico, and it is expected to produce more rain across Texas in the coming days. According to the National Hurricane Center, it could be upgraded to a tropical storm as it moves toward the Texas coast on Monday and Tuesday. If the disturbance develops into a tropical storm, it will be named Bill. Emergency management teams in several counties are preparing for the potential storm, and residents are also being urged to get ready. 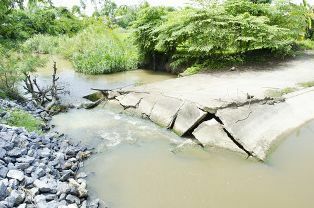 Many areas were just hit with heavy rains over the weekend of June 13 and 14, and some areas are still recovering from the series of damaging storms at the end of May. With the memory of Tropical Storm Allison, which took place 14 years ago this month, no one wants to take any chances. The long course of the storm and heavy flooding put it on the list of the most devastating rain events in the history of the nation. While it’s hard to say what the outcome of a potential Tropical Storm Bill might be this year, an already rain-soaked Texas is hoping for a break and preparing for the worst. Devastating weather events can create difficult insurance claims for the policyholders who are affected, and property losses can add up to billions of dollars. If you run into trouble with delays, denials, or underpayments with your storm claim, you may still have options for moving forward successfully. Get experienced help with a difficult claim today by calling the Voss Law Firm at 888-614-7730, or use the live-chat service on this page to speak with someone right now.